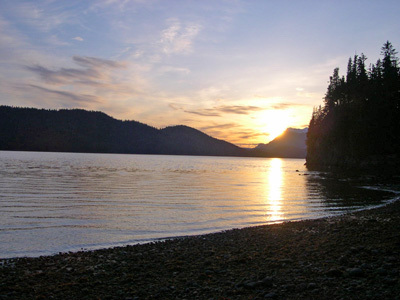 West Side of Admiralty Island is a wonderful place to play. West Side of Admiralty Island...More Photos by Karen L.
How does our dog get his head in so many photos? 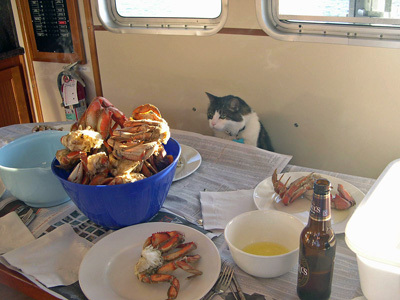 Our cat gets his share of photo opps also! 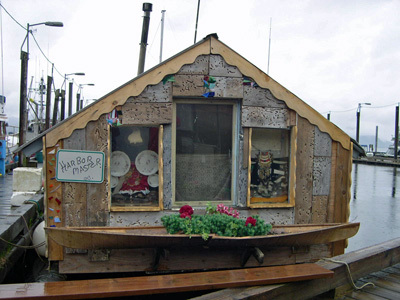 Juneau to Petersburg, or vice versa, is a popular trip for good reason. We offer it several times a summer. 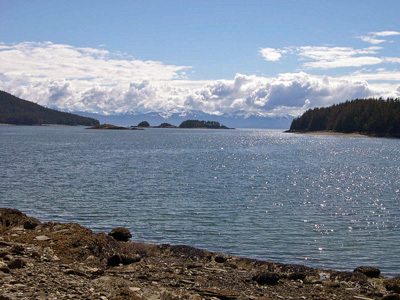 It includes some excellent paddling and exploring on the east side of Admiralty Island and a chance to paddle in the ice in Tracy Arm. 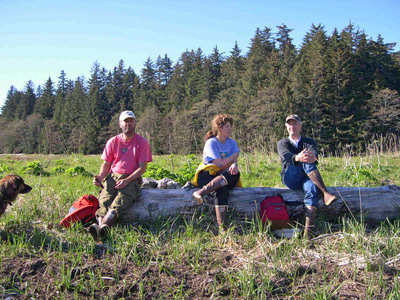 Last year, we had an experienced group of Alaskans (repeat customers) who wanted to see the west side of Admiralty Island instead. What a treat for all of us! 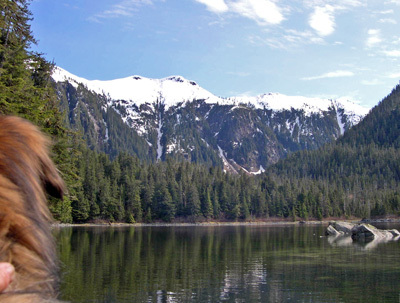 We stopped at Baranof Warm Springs for a hot dip as well as Tenakee Springs for a little local "culture." 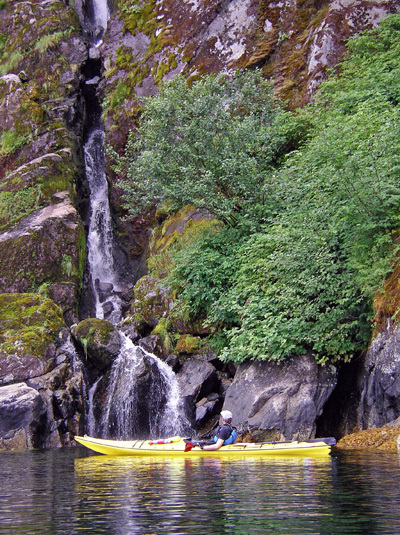 The anchorages were very private and the paddling was great. 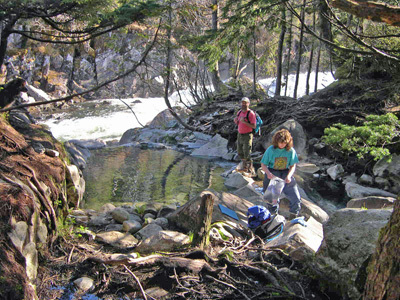 We have since found an area so beautiful and remote that we do not dare mention it on the Internet (at least not until we get USFS permits for it).... Lets Go!!! 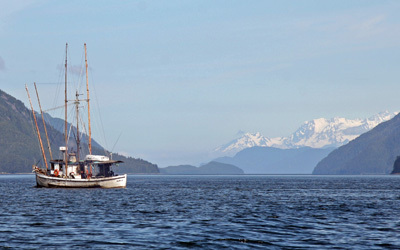 We spend several weeks in the Icy Strait/Inian Islands area every summer, and we aways look forward to returning. The fishing and wildlife viewing, particularly Humpback Whales at Point Adolphus, is some of the best. Round trip out of Juneau makes it logistically simple. The Inian Islands offer the opportunity for casual paddlers to enjoy easy exploration; it also offers currents of up up to 10 knots in South Inian Pass for those experts who dare! This is a good one! Kake is quickly becoming a favorite area for us. 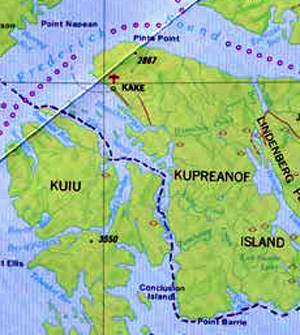 Kake itself is a cute little town with terrific access including Alaska state ferries and regular flights. 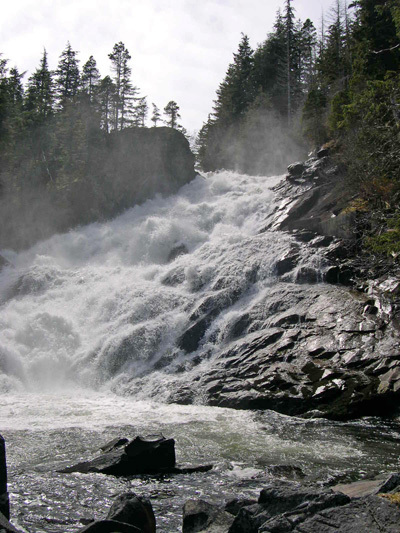 From Kake, the paddling areas include Tebenkof Wilderness, one of the most remote places in South East, and the east side of Baranof Island which we find absolutley stunning. Even the South East Alaska veterens say "We gotta go back there again..."
A week starting and ending in Petersburg would offer the chance to explore a fantastic road-less and unpopulated area known as Rocky Pass (which is part of Keku Strait). 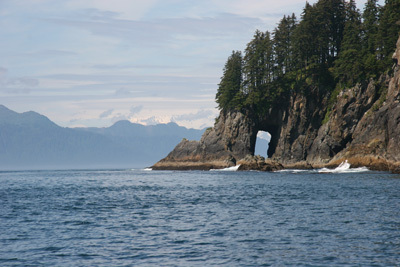 We are familiar with the areas north and south of the Pass (Frederick Sound and Sumner Strait) but want to spend several days exploring the dozens of nooks and crannies in the Pass. Our resources tell us the wildlife viewing is wonderful. We hope to find interested experienced paddlers to explore with us in late May (19th to 26th) or early June (2nd to 9th; 9th to 16th). This should be really fun! Did It Rain Last Summer? Patty and Barn had some rain that week. 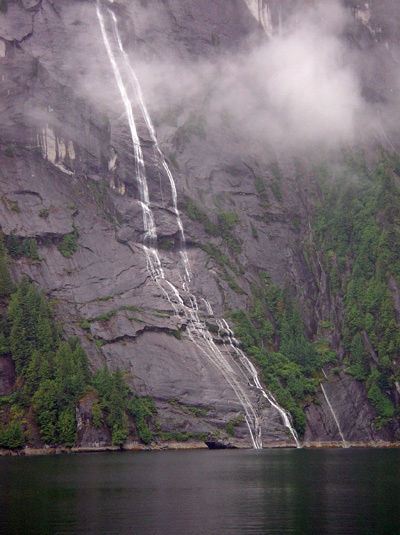 The good news about the rain is the waterfalls. More photos by Patty L.